Help students access scholarships and financial aid information quickly by linking to Fastweb. Take advantage of the Fastweb Scholarship Widget to bring 1.5 million scholarships to your website or create a link to Fastweb to send them to our website. For more information on ways to promote Fastweb on your website, read below. 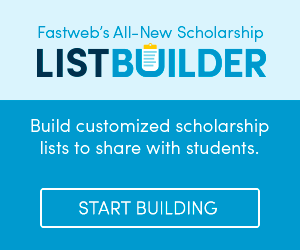 Enable your students to search the Fastweb database of 1.5 million scholarships directly from your website. 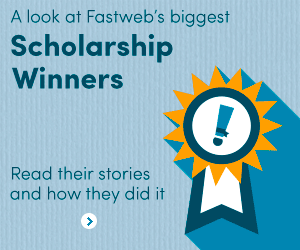 Search more than 1.5 million scholarships worth more than $3.4 billion with Fastweb! Step 1: Copy the html code from the box below your chosen link type. Step 2: Paste the code directly to your website code. Step 3: Email us at memberservices@fastweb.com to let us know your link is live! Paying for school just got easier!